I thought I would post the shoes that gave me the shakes Zentangling. I think they turned out really nice and I hope my m.i.l. likes them. 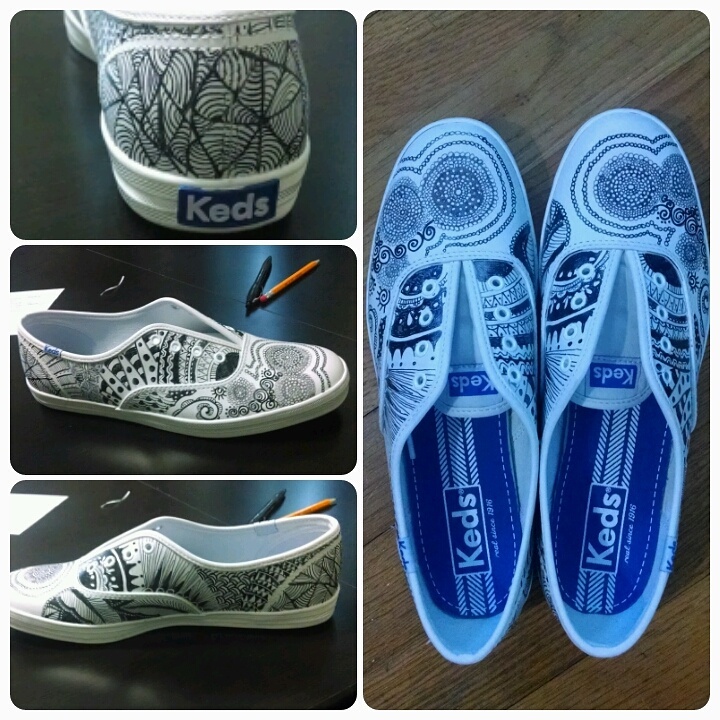 My sister wants me to Zentangle her golf shoes….her Foot Joy golf shoes! My goodness, I don’t how I am going to manage that one. I did tell her, if I mess up and/or you don’t like them? It is on you and she still handed them over to me. So we will see, so far I don’t even have the guts to pull them out of the bag. 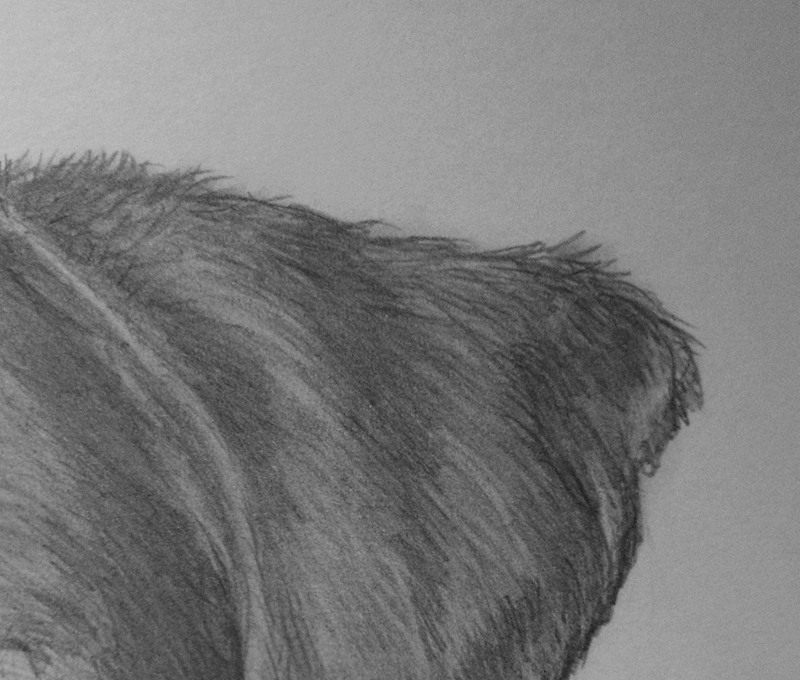 This is a WIP of a pet portrait that I have been working on for my nephew and his girl friend as a housewarming present. I have been having trouble with this little guy, and so far there are a lot of redos. I haven’t picked up a pencil in a while and I’m rusty, but I hope that I can give them something special. Also, we went Dorm shopping with mini me last weekend. 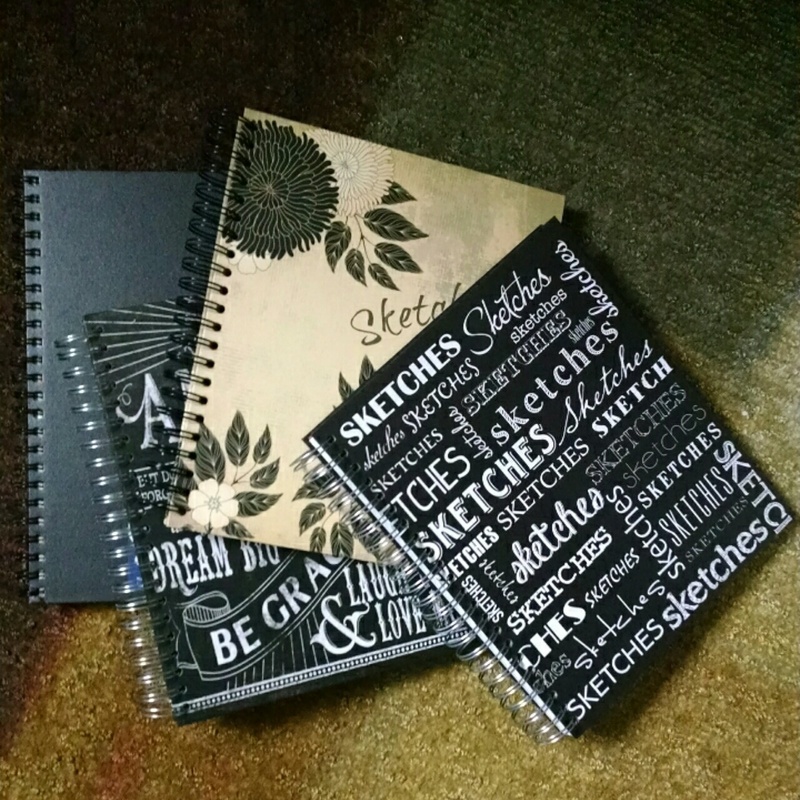 And I found these awesome hard covered spiral bound sketch pads. What’s so great about these pads, for me at least, is that the paper is smooth. If you have a Ross, TJ Maxx or Burlington Outlet near you? You’d better scoop these puppies up! If you do, please comment in the post next week with a link to your sketch. I would love to see it! If you read my blog and don’t know how to draw, but always wanted to here is your chance. You can only learn by doing. I did not know how to draw until I started small sketching exercises. So grab a some paper, a pencil and give it a go. We will meet back here on Friday! Are you ready for college drop off?